Recaro is an old company. They have been in car seat and aircraft seat design for more than a hundred years. It is only natural that they used their experience for manufacturing child car seats. A century is more than enough to establish a tradition. In this case, it is a tradition of perfect quality for a reasonable price. Not only that but, as the time goes, the safety of Recaro seats also improves. That is especially crucial for child car seats since children are especially vulnerable to injuries. That is the reason child car seats are needed, after all. What makes the Recaro seats stand out is that they are engineered, designed and manufactured in Germany. While some people might view this as profiling, albeit positive, it is no secret that Germany is notorious for their high standards of work and production, to the point it might be considered a tradition in its own right. The Recaro use crash-testing extensively in their development of new child car seats. In fact, they possess an in-house crash testing facilities specifically for testing their products. Each and every new car seat model is thoroughly crash-tested. It is only put in production after the tests have been proved successful and the seat safe. Because of such a policy, Recaro seats not just meet but actually exceed standards and requirements for protection in the event of a head-on collision by up to 64%. This rate has been verified according to standard ECE-R 44/04. That said, Recaro works with the new child seat standard known as iSize, although, as of now, it is only the name of the first stage of standard ECE R129. The reason for the introduction of the new standard is to facilitate the process of deciding what car seat would suit the child best. The standard’s name is ECE R129. Current standard ECE R44 will still be operational for at least 5 years for the transitional purposes. 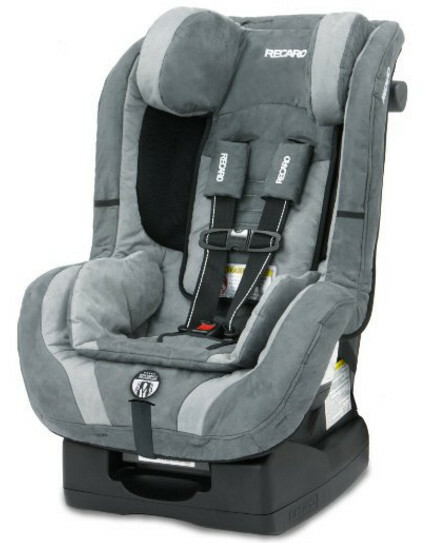 Formerly, car seats were classified by body weight, considered ready for forward-facing orientation from 9 kg and valid both for ISOFIX and car seatbelts. With ECE R129, seats are classified by the body size and age, can be installed in forward-facing mode from 15 months and are no longer valid for car seat belts. Recaro seats are designed to keep up with the highest safety standards. According to ADAC,Meeting the requirements of standard ECE R129 does not mean the seat is safer than those that meet the requirements of standard ECE R44/04. However, some of their seats meet some of those requirements nevertheless. Because of that, production of ECE R129 approved car seat was rather easy for Recaro. As such, parents can choose whether they should by seats registered under standard ECE R129 or ECE R44/04. Make sure to keep in mind that not all car are compatible with standard ECE R129. 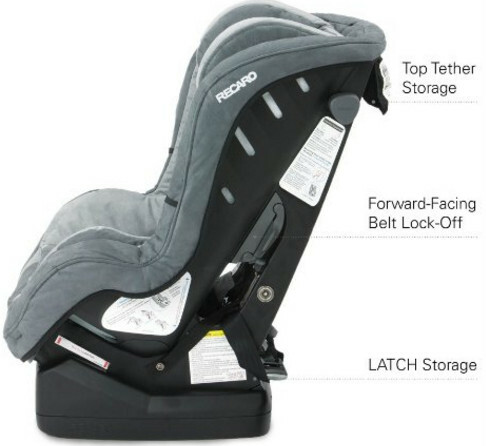 The ProRIDE car seat offers the same general level of safety as other Recaro seats. 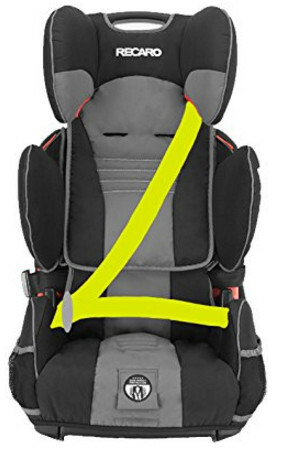 It has a smart design meant to protect the child in the event of a side collision. The seat is also very comfortable and convenient for the child and parents. The seat can accommodate children between 5 and 65 lbs in both modes: from 5 up to 40 lbs in rear-facing mode and from 20 up to 65 lbs in forward-facing mode. It has only these two modes, it is not a three-in-one car seat. The side impact protection is not limited to reinforced side walls layered with EPS energy absorbing foam. The head wings limit the neck movement and shield the face and the temples of the child. The side walls also help to stabilize the pelvis and torso areas other than to reduce the impact force. The seat is also extremely ergonomic, thanks to which long-term trips become a possibility. The harness comprises padded straps, the seat itself resembles a shell structure. Additionally, the seat is constructed with the Dual Air Flow Comfort System paired with CoolMesh fabric and built-in vents for improved ventilation. 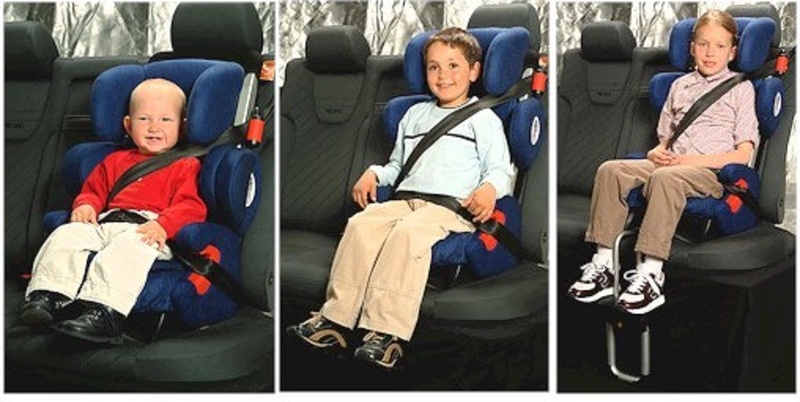 Your child will no longer feel themselves too hot in their car seat. The ProRIDE also comes with a removable cushion insert for an even greater comfort of the child. It is equipped with a built-in LATCH system and chest-clip storage pockets. The seat is a little more expensive than average. The seat meets all the safety standards. However, its main advantage is the level of comfort it is capable of providing. The Performance Booster, as the name implies, is a booster seat. As far as design is concerned, this is rather a simple booster since it does not come with a built-in harness. Not only that, it does not even have the backless mode. On the other hand, such simplicity has merits of its own. It is widely known and accepted that one-purpose tools and equipment are superior to multi-purpose tools and equipment of similar quality and design. In a way, Recaro tried to create a quintessential booster and succeeded. According to the Evaluation of the IIHS, the Performance Booster is a Best Bet. In this instance, not only did the manufacturer offer a safe seat, complete with side impact protection, but it is also a very comfortable one. 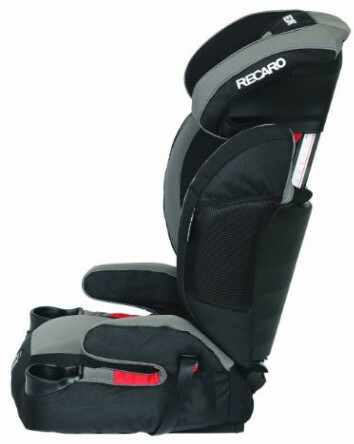 Unlike many car seats other companies produce, Recaro deals with memory foam rather extensively. And memory foam is one of those materials that can guarantee a high level of comfort entirely by itself. What is special about memory foam? This type of foam, sometimes called viscoelastic foam, has been initially developed by NASA. It is now mostly used in mattresses, pillows and as padding and filling material for furniture or similar things. The key feature of memory foam is that it cradles the body and gives in just so it would relieve the pressure points. The issue of heat retention, typical for memory foam, has been accounted for and dealt with. The seat is equipped with CoolMesh air ventilation. This seat is less than optimal solution for small cars. It is rather wide. If you count on installing three seats simultaneously, we are afraid that will fail to work with this seat. The price for the Performance Booster is below average. As far as the quality and price ratio is considered, this is a perfect seat to buy. Its main advantages are the full-body protection and extreme comfort for the little one, which makes longer trips less of a hindrance. The Performance SPORT combination is very similar to the Performance Booster. The key difference lies in the fact the Performance SPORT can be used for transporting toddlers before they can use the booster. The seat comes with a built-in 5-point harness. It makes the Performance SPORT a good choice for the transition from harness to booster. The seat, naturally, has two weight limits. 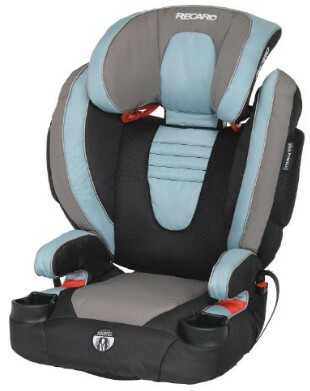 In harness mode, the seat can accommodate children from 20 to 65 lbs. In booster mode, it can accommodate children between 30 and 120 lbs. As you can see, the seat has a 35 lbs overlap. You can transition from harness to booster whenever you think would be best. The Performance SPORT is a Best Bet according to the IIHS Evaluation, which makes it a perfect booster for many young children. Since the seat can be used both by toddlers and older children, the seat, naturally can be used for longer than either standard booster or toddler seat. Because of that, you can save money by obtaining it instead of two separate seats. The seat is also extremely comfortable due to the fact it is layered with memory foam, much like the Performance booster. It deals with heat problems in the same manner, by utilizing the CoolMesh air ventilation. The seat is not the cheapest car seat although it is not the most expensive. 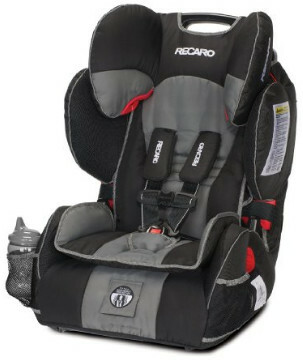 Still, it would cost you more than average and more than the two other car seats from Recaro. On the other hand, it does have two modes. It is its main advantage compared to the Performance booster. It shares its other qualities, however, such as the price and quality ratio which is more than good, the full-body protection, and extreme comfort for the child.